This is where our ongoing projects are. During their senior trip on the cruise ship Victoria, a group of friends is suddenly pulled back in time and separated. The main character, Hayumi Natsuki, arrives in the year 1636. 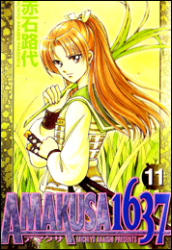 In Japanese history, Christian rebels, led by a young man known as Amakusa Shirou, revolted in 1637, which resulted in thousands of casualties. However, when Natsuki arrives in the past, she and her friend Eri discover that Shirou Tokisada is already dead. Meanwhile, Natsuki, according to the villagers and Shirouâ€™s parents, looks exactly like their late son (disregarding the fact that Natsuki is female). Natsuki, the kendo champion of her school and heir to her familyâ€™s Hakuhouryuu kendo style, simply cannot stand by and watch innocent people be persecuted simply for being Christian. Soon she even becomes known as an angel, sent from God, whose arrival was prophesied 25 years earlier. But what will she do when old friends become new enemies? 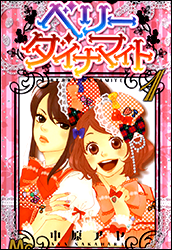 The comedy story follows Mai and Kurumi â€” two polar opposites who act friendly onstage as the hit singing duo "Star Berry," but bicker offstage. What Mai really wants to become is a rock singer, but the easily flustered Kurumi would rather sing idol songs. When the blue bird sings, it brings its owner happiness. However, when the blue bird dies... It can only be resurrected when the owner sacrifices something that they cherish... The cycle repeats until the owner has nothing left to offer as sacrifice, leaving the owners with nothing to cherish and no blue bird to sing to them. Yuria is the owner of a blue bird... a blue bird someone wants to steal away from her. 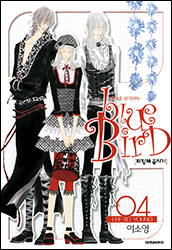 Will Yuria be able to protect her blue bird and find her own happiness? Eun-Yo Song has beauty and popularity - everything a girl could want! 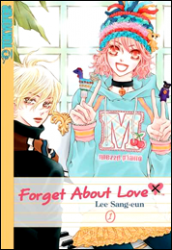 All the boys declare their love for her, except the one she really wants - heartthrob Chan-Gyeong. After a chance encounter with pop-singer Nan Lee, Eun-Yo hatches a scheme to become a star herself, and win over her dream boy. But little does she know that Nan's the one pulling her strings... and she's about to fall into his trap! The Grim Peddler waltzes through fairy tales, giving the stories' inhabitants their hearts' desires. But beneficiaries, beware, for his gifts don't always turn out quite as expected! Classic tales such as Sleeping Beauty, Hansel and Gretel, The Frog Prince, and more are turned on their side through the unexpected reversals and terrifying twists of this all-new series. With the author's distinct humor and creativity, this series describes one girl's fantasy-like adventure. Yvienne Magnolia's beauty has always widened the villagers' eyes, but it changed her life more than she could imagine... As the lord of the manor tries to kidnap her, Yvienne flees to Lowood Institution for wizardry and witchcraft, forcing her to leave her family behind. In Lowood Institution, she meets interesting people, such as January Lightsphere, who glows with a purple aura, as opposed to his noble but peculiar family; and Lariatte, an Orthodox fighter family's heir, who becomes her closest friend. After her mother's death, high schooler Mi-Hyang packs up her belongings and enters the household of her mother's formal manager. Even though she was a daughter of a rich man, with her father and other family members still alive and well, she apparently has good reasons for doing this... So the life of smiling 24/7 Mi-Hyang and the two good-looking sons of her mother's formal manager - with their own set of unique personalities - begins! Remember the tale of the little mermaid that fell in love with the dashing human prince? Now, imagine the roles reversed, as a romance blooms between the beautiful Evyione and a dashing young merman. It's a unique twist on a timeless tale that is sure to leave you spellbound. Saerim Lee gets into an accident and loses her memory as a result. When she goes to school, she realizes that everyone is afraid of her, even her two best friends, who tell her that she was a very mean girl who blackmailed people, using their secrets against them. But she realizes that she can order people around because she supposedly knows these secrets, all of which were forgotten in the car crash. She only has one connection to the person she was in the past, and that is her diary. In it, she wrote of the person she was in love with, but never his name. She will stop at nothing to discover his identity! Because of the extraordinary power she has, Shuri Otokawa was always living in the dark full of fear and distress. Eventually, she decided to become more optimistic about her life when she started a new job at her aunt's research laboratory. However, at such a crucial time in her life, the one who appears in front of Shuri is..?! The Special crime investigation department 007? includes the most capable and extraordinary investigators and Fuyuki, who also becomes one of its members, is very capable too. And she is paired with Kuze, a cool and very bishonen detective. Their combination proves to be the most dangerous one the police headquarters had ever seen! Michiru is a happy child who loves to skate. During her childhood, she meets Leon, a cute innocent boy. They begin to ice dance together. But as she has a conflict with her mom, she plans to run away with Leon. Leon, considering the danger, declines Michiru. Hurt by this, Michiru runs away by herself. Finding out that Michiru has run away, Leon and others search for her, finding her in the skating rink. But the person who, standing in the rink, no longer has the smile that the old Michiru used to?! Did you think Masca: The Tale of the Great Mage of Hessed was over? 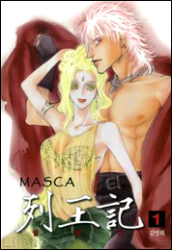 Masca: the Kings is the sequel of Masca, in which Asarella goes on a journey to save Kainen. However, the first two volumes focus quite a bit on the development between Rea and Rakin (Kainenâ€™s beautiful ex(?) and another demon king). Note: this is a sequel the mangaka created for the fans. Every volume has 50-60 pages and is not her current main project. She's working on this between her deadlines for Evyione. This is a self published series and might continue only if the books are sold. If you have the opportunity please support the manhwaka and buy this title. Shinonome Mei remembers being rescued by a butler when she was a young girl. But did that really happen? When Mei's parents die in car accident, this butler, Rihito, reappears, wanting to take her to her grandfather. Mei's grandfather is very wealthy and Mei turns out to be the heiress to his fortune and is forced to transfer to St. Lucia Academy, so that she can become a proper lady. When Mei's childhood friend Kento hears about this, he decides to enroll in a butler school so that he can stay close to her. Mei-chan falls in love with Rihito, her butler. Does Rihito love her back? In the meantime Kento, who is in love with Mei-chan, also isn't planning to sit back and do nothing. It's the middle of the Meiji Era and our heroine, the little Suzu, is sold to the red lights district. However, the rich heir of a dry goods store Tsugaru buys her freedom for no apparent reason. She is deeply grateful for being saved, but she doesn't understand why he paid so much money for her and the only explanation he offers is "we have a bond". She tries to unravel the mystery of his feelings and gradually grows from a little girl to a young woman, always by his side. A gentle and slow-paced love story set in the Meiji Era. 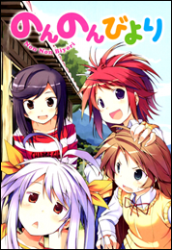 Yuri is a doll-like child, orphaned at a young age when her father dies in a car accident. In his will, he requests that Yuri be placed under the guardianship of a close friend of his, Kim Dowook. 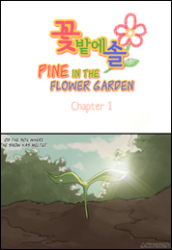 Taken in, Yuri begins a new life, different from her life before. Where will this take her, and what does she think of her guardian..? Elementary school student Ichijou Hotaru has moved with her parents from Tokyo to the middle of the country. Now she must adapt to her new school, where there are a total of 5 students in the same class who range through elementary and middle school ages. Join their everyday adventures in the countryside. A beautiful and mature sixth grade girl from Tokyo suddenly has to move out to the country side of Japan with her family. The girl, Natsume, then meets a boy and from then on she begins to feel "something" in her body, like a surging wave. Ji-Eun has been dating Gyuho for 3 years now and he's pretty much the perfect boyfriend. Even the way they meet was perfect, the same as in her favorite movie, Twilight. 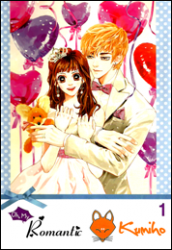 But now she learns that he is a Kumiho (Nine Tailed Fox), he's 700 years old and he wants to marry her. And on top of all this weird things he mentions that he loves her liver. Is the price of a perfect boyfriend worth her liver? Join in this funny contemporary fantasy where a girl learns that prince charming also has a dark side and that stories sound good in a book, but living them might end up not so enjoyable. "Pika Ichi" is the story of two painfully shy teens who love yakuza movies. An incident at school pushes them over the edge, and they decide to drop their mousiness in order to dispense some "justice". The coming-of-age story of a high school student who has a phobia for flowers. Note: This is a webcomic. When Kazura Enomoto's grandfather dies, he leaves her to the son of a rich family, Mizuki Magahara, as payment for his debts. After she goes to live with him, Kazura learns that she's not going to be working off the debts as a servant, she's going to be Mizuki's fiancé! Unless Kazura can repay her debt, she's got no choice but to learn to live with her new lot in life. 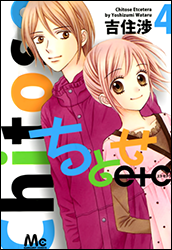 But no sooner has Kazura begun to adjust to living with Mizuki and going to his snotty rich school than the dark secret of the Magahara family comes to light. The head of the family has the unique power to bring back the souls of the dead and right now the head of the family is Mizuki! Meng Geum Ho who is actually the popular author Eun Ho transfers to a new school. Unwilling to socialize with any of his classmates he soon gets himself a bad reputation as someone who is not to mess with. When the unpopular girl called "One" accidentally watches him beat up some guys, she runs away in fear but leaves her lunchbox behind. Meng Geum Ho finds it and searches for it's owner stating that he'd also have a request for that person. What could that request be? And what happens when One and Meng Geum Ho are forced to be partners on a field trip? The spam-mail boom of the near future: The great advances of technology, a new generation of improved systems, and ideal computer programs have caused a backlash. The IT world has advanced significantly to the point where humanoid Spam mails are causing trouble for their humans. In the near future, hundreds of thousands of spammers have caused incalculable destruction to the mainframe of the lives of everyday citizens. Enter SM Hunters to save the humans from our own creations. Can "Spam" ever be good? Fuuka, the daughter of the Inuiyama's lord, is determinate to do everything to help her father win the war and get him home safely. Because she's a girl she's not allowed to go to the battle field with him, but she hears about a certain "war ghost" called Byakkimaru has been seen near her town. The legend says that if you get Byakkimaru to join your side you will win the war. The little princess starts a trip in search of this ghost determined to save her clan. If you the one you loved were known as the "Murder Devil", would you kill your lover? Or, would you wait to be killed? Includes: Toshi Denestsu Yomigaeru Sattujin Oni From a psychological test, he is diagnosed as having a trait of a murder, and because of that, she is attacked with a lot of unsolved incidents?! Migigawa no Akai Yami Is this a curse from the boy, who was bullied and committed suicide because of his illness, which caused his right eye to see only the color red? It's a gorgeous, spacious mansion, and four handsome, fifteen-year-old friends are allowed to live in it for free! There's only one condition, that within three years the guys must transform the owner's wallflower niece into a lady befitting the palace in which they all live! How hard can it be? Enter Sunako Nakahara, the agoraphobic, horror-movie-loving, pockmark-faced, frizzy-haired, fashion-illiterate recluse who tends to break into explosive nosebleeds whenever she sees anyone attractive. This project is going to take more than our four heroes ever expected: it needs a miracle!